I’am using mokee 71.2-cancro release. 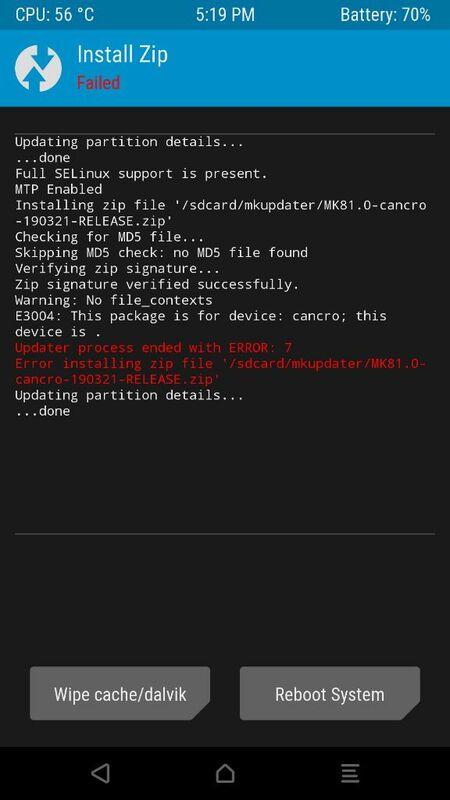 The phone wants to update to a new release: mk81.0-cancro-190321-RELEASE. The update is failing because of a error. E3004 this package is for device: cancro; this device is .